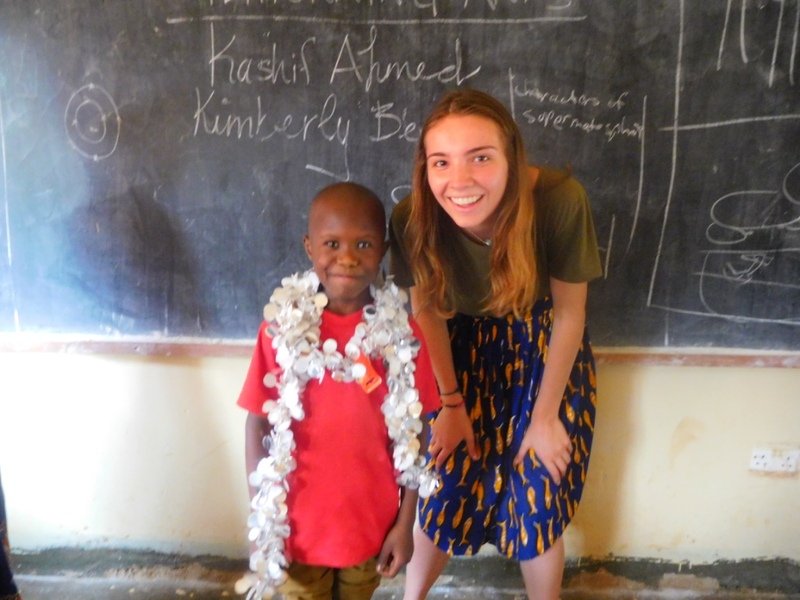 An internship at the Children of Bududa program is one of the more rare internships offered by McGill University. Being able to work in a rural part of Africa as well as completely throwing ourselves into the community has been an experience in itself, but the work that we are learning to do goes beyond anything that can be taught in an International Development lecture. One of our responsibilities as interns is to assist in field visitations. These field visitations are conducted in pairs, with either Nanzala Martha, the Children of Bududa social worker, or Namyeka Grace, the program director of the Children of Bududa program. During these field visits, we go to up to five homes per day. Martha or Grace have to be present at all times, because of the language barrier, as well as for the comfort of the household (seeing two foreign faces is not as shocking if there is a local present who speaks the language). There are two forms we fill out as interns, either the general field work report, that will go into the files of the students, and the Monitoring and Evaluation form, which will be used in the M&E reports for the program. The general field visitation report is where most of the descriptions of the living situation is done, and where we are free to write our own observations and thoughts. The M&E form is more statistical, in that we do not need to physically write details, rather circle all which apply. The questions on both forms are extremely similar, the only difference being that one first is used mainly for reporting and letter writing to donors, and the latter is complied into raw data that can be evaluated. Many of the questions on the field visitation forms include inquiries that I never would have thought to ask. One question that surprised me asked whether animal waste is kept far enough away from the kitchen and other living quarters, as not to pose any health risks to the child and the family. Where I come from, these things are a given, but being faced with the poverty present in Bududa, it is not always possible and simple to separate the kitchen from where the animals are. The questions on the form include very simple things that from where I come from, many people take for granted. The form is extremely beneficial for the organization, in that it allows us to track the progress that a given child has made, and how much the aid given by the program and its donors has changed the life of the child. The M&E forms allow us to statistically represent this progress, which is important information to show to potential new donors. The questions are fairly simple, but with this we are able to see how the child is doing. There are specific sections on the questions which give us the chance to reflect on what we recommend should be done, and being able to check past reports allows us to see if these recommendations were followed or if the living situation has bettered. A successful program needs to have some form of tracking mechanism, especially when there are donors who earmark specific funding to help children. These two forms are not just pieces of paper that need to be filed. They represent the positive changes that these children experience thanks to the program.